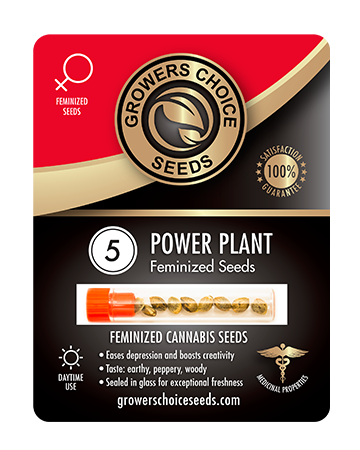 Power Plant feminized cannabis seeds deliver an intense therapeutic blow to migraines, chronic, muscle, and joint pain, and stress. Thanks to the 80% sativa in this cannabis strain, users experience a happy and uplifting high that renders them energized and alert, but also relaxed. 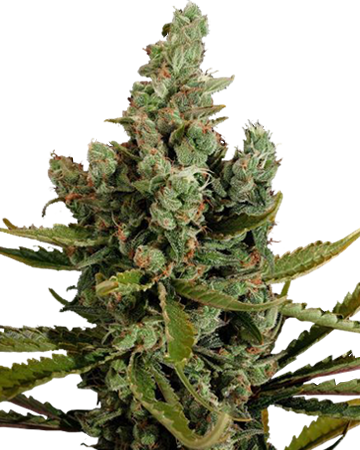 Growers Choice’s Power Plant feminized cannabis seeds join a collection of popular strains first developed from South African sativa plants. Thanks to the 80% sativa in this cannabis strain, users are set up to experience a happy and uplifting high that renders them energized and alert, but also relaxed. What Does Power Plant Taste Like? 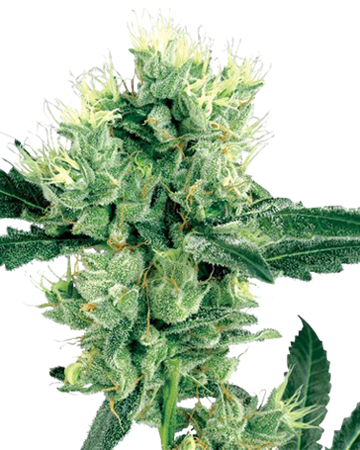 With a peppery, woodsy flavor, Power Plant cannabis seeds contain about 19% THC, which provides a cheerful, social and creative high that could be a bit strong for people new to recreational or medicinal cannabis use. As always, we recommend trying this strain with care – a single puff on a joint, or a bite of a cookie may be all you need to get the most out of Power Plant. 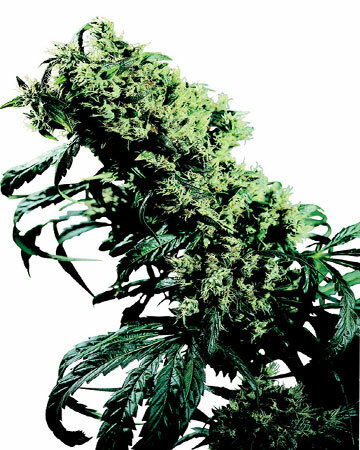 Medically, Power Plant cannabis seeds grow into plants used to treat sufferers of depression, and can battle fatigue without tension, thanks to the state-of-the-art combination of happy vigor and muscle relaxation. 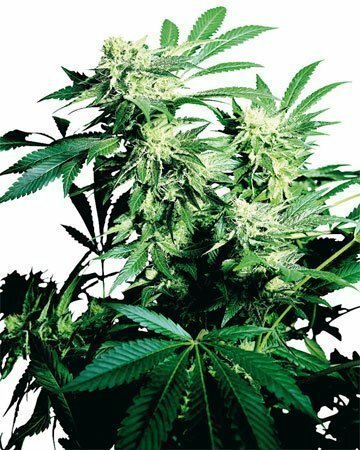 Users have also found good results when using Power Plant to treat migraines, and manage other types of chronic or acute pain. Whether your discomfort is caused by pain in the muscles, joints, or nerves, this intense strain can help you de-stress and clear your head. The burst of energy will enable you to carry on with your daily tasks (though we never recommend driving). 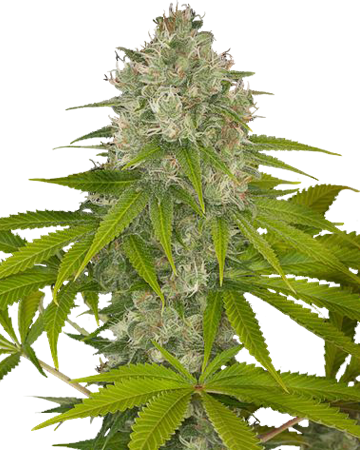 Power Plant cannabis seeds can be grown in almost any environment with relative ease, though gardeners should be aware of a strong scent that could be best contained indoors, or let to air out of doors, depending on your personal preference and desire for discretion. 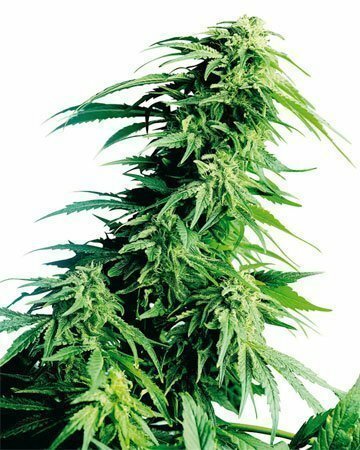 Following a flowering stage of seven to nine weeks, Power Plant will deliver a moderate amount of harvestable flower, usually about 500 grams per square meter indoors, and up to 600 grams per plant outside. The stable, uniform nature of this strain makes it an excellent choice for cuttings and clones, which not only save you money in the long run, but also ensure you always have enough of the treatment you need. 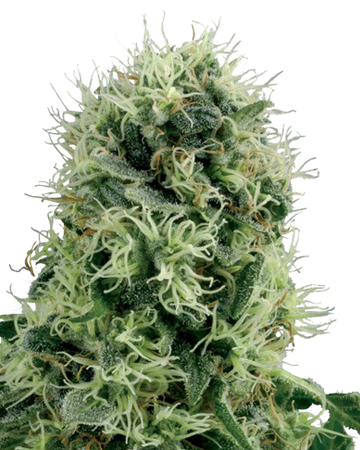 Read Power Plant Feminized Cannabis Strain for more detailed information. 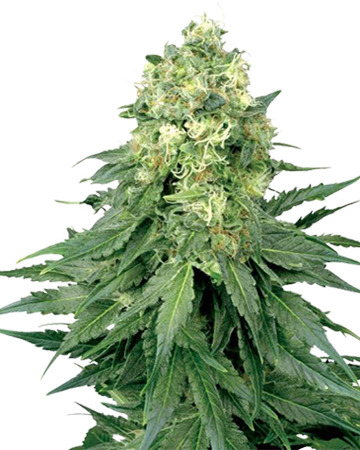 Buy Power Plant feminized cannabis seeds for an energizing, relaxing high. Went 5 for 5 with the seeds. Plants grew over 6 ft. Had issues with Bud rot but that is due to the climate I live in. Next year I will try covering them every night. The smoke is great. The high is strong. Lovely buzz from this weed. I am a big fan of sativas, find them to be much better at helping me stay focused and energized throughout the day. Purchased 3 seeds from GCS and had all 3 pop in the germ chamber! Quick grow and fairly easy to take care of, plus I got an excellent yield of about 400 grams. Delicious daytime weed, tastes woodsy, like a pine tree, and perfect alongside breakfast in the morning. Big fan of this strain! 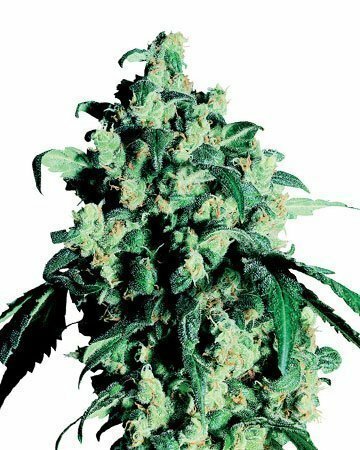 Power plant is a great strain for mood disorders. Plus, it’s easy to grow and smells pretty good. 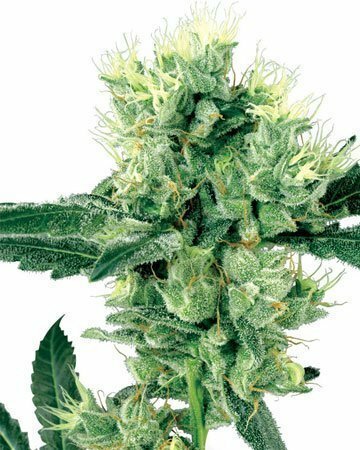 Doesn’t matter if you’re expereinced or not, this plant produces dense buds that always turn out perfect. Also love that I only get feminized cannabis seeds. You know exactly what you’re getting with this company, and that says a lot. Plants aren’t exactly the perfect science, but they’ve managed to make it as much of one as they can and you have to do the rest. I strictly buy online now. 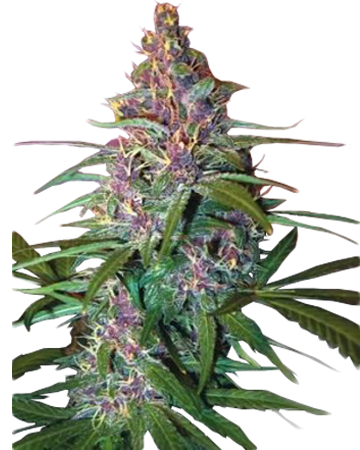 If you need a bit of a mental boost, then this is the strain for you! I don’t know that I’d recommend it to first-time users, but if you’re familiar with effects of cannabis and are looking for something to manage your mood, then definitely give this one a try! I’ve also loved having these feminized cannabis seeds growing in my backyard as I love walking out there and smelling it. This was the first time I tried growing my own plant, and I’m so proud and impressed by my harvest! Mine are only 10 weeks old. They are so Beautiful! My first outdoor crop ever. I am totally amazed at the difference in the strength of the plants. Sun changes in 11 days…so it won’t be too much longer until harvest. I wish I could post photos! 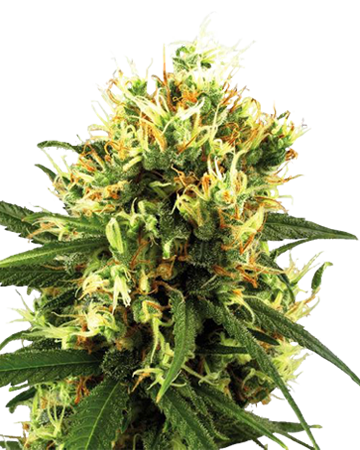 I’m so glad I decided to buy my feminized cannabis seeds from Growers Choice. It was so easy to order my seeds online and I didn’t have to wait very long for my seeds to show up at my door. I picked out this strain to help with chronic migraines and it definitely delivered on its promise. I grew my seeds inside, which didn’t turn out to be the greatest choice because I underestimated the smell on this plant. I’ll definitely buy more of this train, but will be looking to plant outside from the get-go next time! 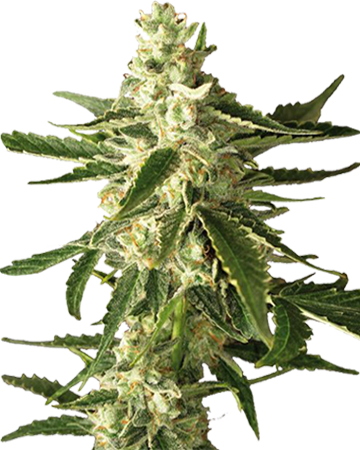 Pretty happy with my choice to buy feminized cannabis seeds online. Easy grow and you can easily clone the seeds, but I choose just to buy new ones each time. Best strong strain for recreational use, but I’ve read that it’s a good strain for medicinal use too. 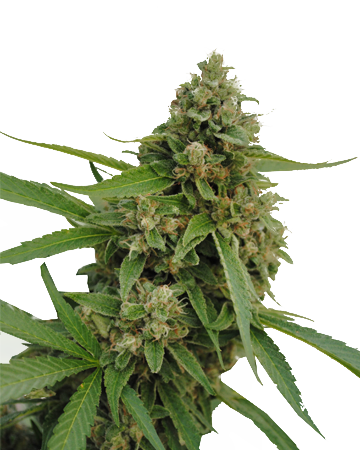 There’s not too many places to buy cannabis seeds locally, at least for this kind of quality. This is a real great strain to grow, even for beginners, especially if you want something that’s gonna give you a little more a happy high than put you to sleep. 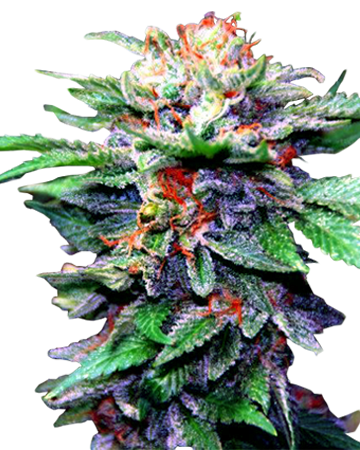 It’s one of my fave strains to bring to a party, people really like it, plus it smells great. I heard you can use it for depression and stress, I can see that. Its pretty easy to grow, indoors it smells but I don’t mind and we have our own place, I wouldn’t recommend growing it in an apartment unless you get a good exhaust system or something like that. Growers Choice seeds in general produce some good weed, and for an online shop, they’re pretty stand up. I use power plant all the time to combat fatigue over the weekends. I’m usually working 16 hour days as a contractor, so I am exhausted by the time I get home and even moreso on the weekends. I decided about a year ago to start growing my own marijuana, and I couldn’y think of any where to buy the seeds except for online. That’s how I discovered this company and learned about feminized cannabis seeds and the like. Really impressed with the results, as by the time Monday rolls around I feel great and ready to get back to it. 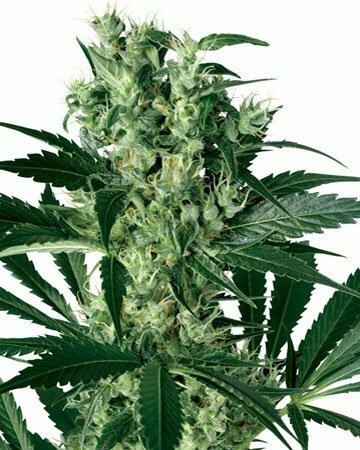 I ordered Power Plant seeds from Growers Choice and they didn’t show up. At least the company seemed transparent and they sent me a new order without too much fuss. I had ordered 10 cannabis seeds after all. I didn’t have any trouble germinating them, but for some reason I found my harvest to be too earthy, not like what I’ve had before. That said, it was pretty potent and it nipped my headaches in the bud. I don’t think I’ll order this strain again, but I wouldn’t want my experience to put anyone off it. Damn, this stuff just punched me right in the face. I was not expecting it to be this strong, even though I read the description. Lesson learned. Found this company because I was looking for feminized cannabis seeds and ended up learning a whole bunch of stuff I didn’t know. 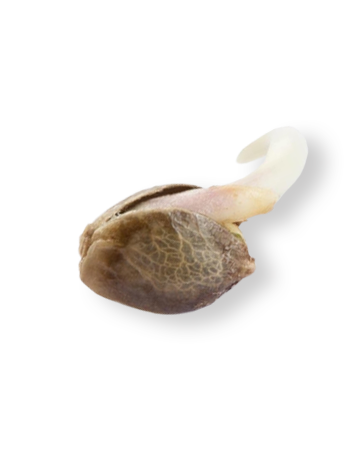 If you’ve never grown before, follow their germination instructions. They really work. You’ll end up with the best pot plants you can get. My first time growing. Planted 2 seeds of this strain, 2 of another (bought 5 of each). 1 or each strain did not pop, I am sure it was me, not the seed, 1 of each popped nice. Started 2 more – perfect! One is a total BEAST! Wanted something to help with depression, and I feel like I made the perfect choice. This one is powerful, and that’s just what I needed. I used a good portion of my batch to make edibles, and it worked out. Kept its potency and made some delicious cookies. As an indoor grower, I’m glad you guys mentioned that this one can have a strong smell, so I made sure to take extra care in setting up my area so that it didn’t stray too far! I wrote in another review that I was after something to help with my headaches, and this was my other option that I picked up. I was really looking forward to this, so I was happy when I noticed how quickly it was growing. The strength of this is great if you experience a lot of pain, and when my migraines got to be too much, this would help bring the pain right back down. Compared to the other one I got, I liked that this didn’t make me too tired, so I could still enjoy my day without my head exploding. I get why this is named Power Plant because the high on this one is POWERFUL. Customer support helped me pick this one, and I’m so glad they did because I was not disappointed. Grow was straightforward and it yielded some nice buds. Ended up being even happier with my results once I started smoking it and realized I only needed a couple tokes before I was starting to feel the high. I tend to gravitate towards stronger strains, so this one was perfect. Even though the high had a strong head buzz, it didn’t give me any paranoia which is something Im always a bit worried about. I can see this one becoming a new favourite of mine. Really recommend it. Yep – this is a good plant. Definitely, some powerful effects, though I’ll admit I was expecting a bit more, but I’m not really complaining because it turned to be just what I needed at the time. Long-lasting, nice peppery flavor (my favorite pot taste) and pretty quick from germination to harvest, all things considered. Honestly, I’ll be returning to Growers Choice when this stash runs out, believe me. 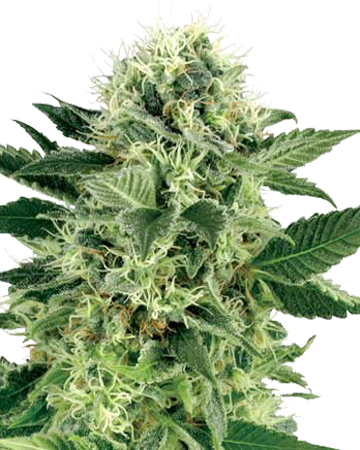 The buds on this one certainly are powerful–aptly named. I ordered it for my depression, but it also helps me manage my chronic pain. The yield was amazing, will definitely be buying again! This one surely lives up to its name, packing a hell of a punch. I suffer from reoccurring migraines and this strain makes the pain manageable. I had some questions and the customer support was top notch, leaving me very impressed.